Rewind 29 years back to 1967. I was assigned to the 21st Helicopter Sq at NKP. We were equipped with CH-3E Jolly Green Giants. We could be distinguished by the fact that we had FOD/Ice Shields installed, had the permanent rescue hoist installed, and did not have a refueling boom installed. As time wore on, the supply pipeline failed to keep up with needs as we flew the crap out of the aircraft. The hanger where I worked, in the Weapons Shop, housed the current hanger queen… 67-14703. SSgt Larry Taylor was assigned as the crewchief. For over a month other CE's would come down with a K-ball requisition. They'd take a part and leave. Finally the day came when 703 was to be made flyable again. I had gotten to know Larry. He used to tell me about going to Farnborough for the airshow and I'd dream about being there. We shared a lot of time on "703". With spare time on my hands, I began to help Larry put her back together. I helped (I did know one end of a screwdriver from the other) him as much as I could. I helped and learned. Came the day we fired up the APU, and put her on her own power and she came to life. Wasn't long before she was up for her FCF/weight check and then back on the flying schedule. But by know she was partly mine. And I could do more than be a gunner on her. I knew how to do parts of the preflight, post flight, how to watch the droop-stops and just what they did and why we watched them. The longer I did it the more I was allowed to do. And 703 was my baby. I left NKP in May, 1969 and "703" was still there, flying missions. And until 1996, that was the last I had knew of "my" helicopter. When I first joined a helicopter net in 1995, I used the "callsign" of Dusty 703. In Thailand, flights which did not cross the Mekong used the "Dusty" call sign followed by the tail number. I never dreamed she had survived the War but there she was in that photo, in flight over Ft. Walton Beach. She had made it back, been to Albuquerque assigned to the schoolhouse at Kirkland (ARRS), gone to Florida at some point, had a refuel probe installed. But her tail number was unmistakable. Then in July 1998 I was given a web site that would help find specific tail numbers of aircraft that had been assigned to the USAF. And "703" was there. Last report was from 1996. She was reported to be at Warner-Robins AFB, Georgia. Darrel Whitcomb, a close friend, gave me a name and an e-mail address of a friend of his at the museum this past Veterans Day. Several e-mails later, she's there, at Warner Robins! She's dressed in desert camouflage, still has the refuel boom but she is there, intact. I have photos!!!! Thank you sir! Colors are wrong and there are 4 blades missing but I've been here before…More photos soon. In August, 1999 my wife and I went south to Georgia to visit my helicopter... She looked exactly as you see her, still painted in desert camoflage from the Gulf War. Now a veteran of two wars, she sits in the sun. On day I hope they will move her inside. After all these yearts she's earned it. The best thing about the web is finding people that you have things in common with but don't have any idea who they are. My name is Paul Frazier, I am a SSgt helicopter crew chief in the USAF with the 41 RQS (Rescue Squadron) at Moody AFB GA. We currently fly the HH60G PaveHawk. While stationed at Patrick AFB Fl. in early 1993 I was sent to Davis Monthan AFB to remove two HH-3E helicopters from storage at the boneyard. 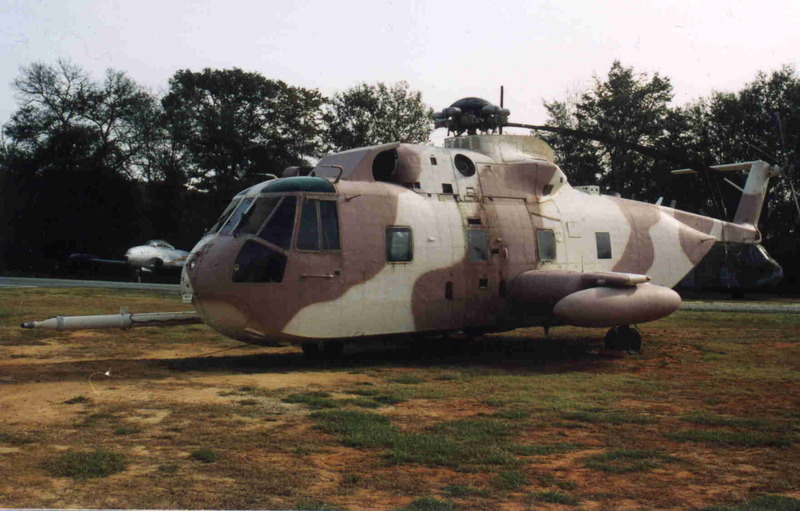 These were to replace two other HH3E's that were being scrapped due to corrosion and transition section structural cracks tail numbers 67-14711 and 67-14713 these are now at Warner Robins museum in less than new condition. The two helicopters we were to take back to Fl from the boneyard were 69-05798 and 67-14703. I distinctly remeber 703 releasing from FCF the first time out, and that was only after changing the fuel filters and flushing all the gearboxes. Both of these helicopters had last served with the 71st Spec Ops unit at DM (now the 305th RQS). They were still painted desert camo because they were placed in storage following their return from the Gulf War. Yup 703 was in Desert Storm as well as serving in Nam. Any how we flew the two of them back to Fl. where they served with the 41st and their Space Shuttle Rescue mission. Aug 94 rolls around and we now are transitioning to the HH60G. The HH3's are being retired. All the H3's are flown to the boneyard ( 69-05798, 69-05802, 69-05803, 69-05811) except for 703 which ended up at Warner Robins. (It was flown there, although it doesn't look too hot right now). We were told that 703 would be placed inside a display hangar but I don't think that has happened yet. I wish Air Rescue would get the respect we have deserved from the beginning. If you didn't know, alot of HH3E's have moved on to Tunisia where they continue saving lives flying with the Tunisian AF. 69-05811 is being converted into a VIP bird for the President of Tunisia. I hope this info will be useful to you and would love to hear from you with any info about H3's air rescue or spec ops.